I hope you enjoy my exercise adventure book through the forest. Please read this book and exercise along with it everyday. Each page will explain my special journey, as well as give you a suggestion on how to do the same movements as me through the forest. Use the daily checklist in the back of the book to mark your growth as well as trying more challenging exercises. It is always important to stop exercising if you get very tired or something hurts. Children, make sure an adult is in the room when you exercise and that you do exercises that are considered safe for you. Have fun. 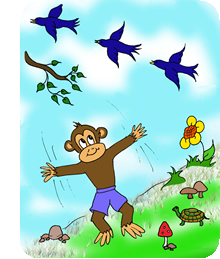 Please visit Len Saunders book web site to learn more about his next book, Joey The Kangaroo, which is part of his "An Adventure In Exercise" book series. Read Joey's adventure through his neighborhood which again, will teach children the importance of reading and exercising. 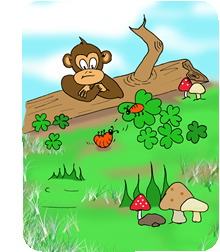 Joey will also teach the children number recognition through his adventure.